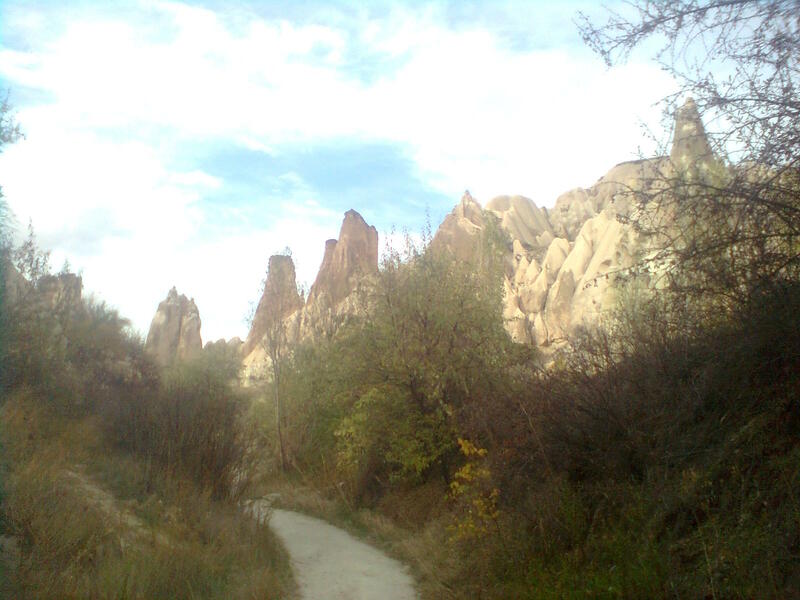 Meskendir Valley can be accepted as the door of the valleys in this area. The path is long but really exciting to explore. 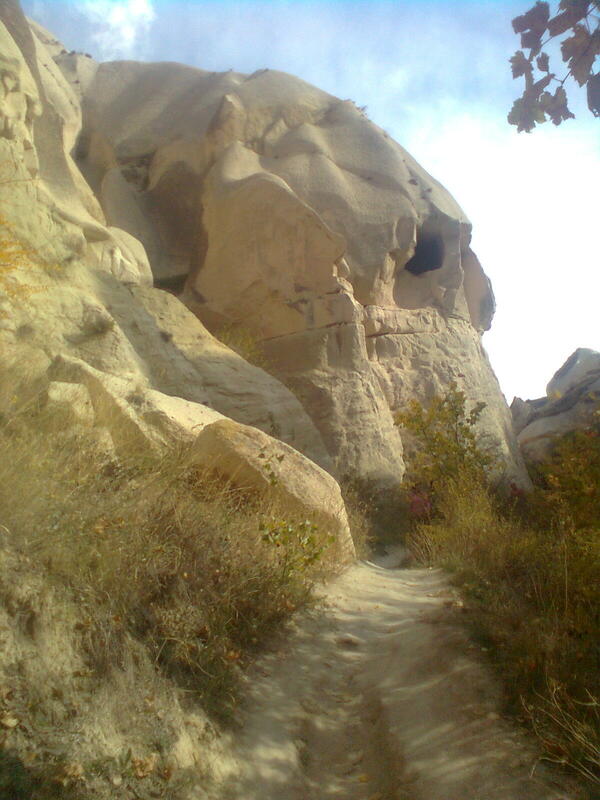 There are 3 valleys and churches on this path so it is one of the best trekking points in cappadocia. Also commonly used.But there are few signs on the road and the signs are written in Turkish so you can lose your way. So No Panic! Just follow my tips and photos. That will help you find your way. 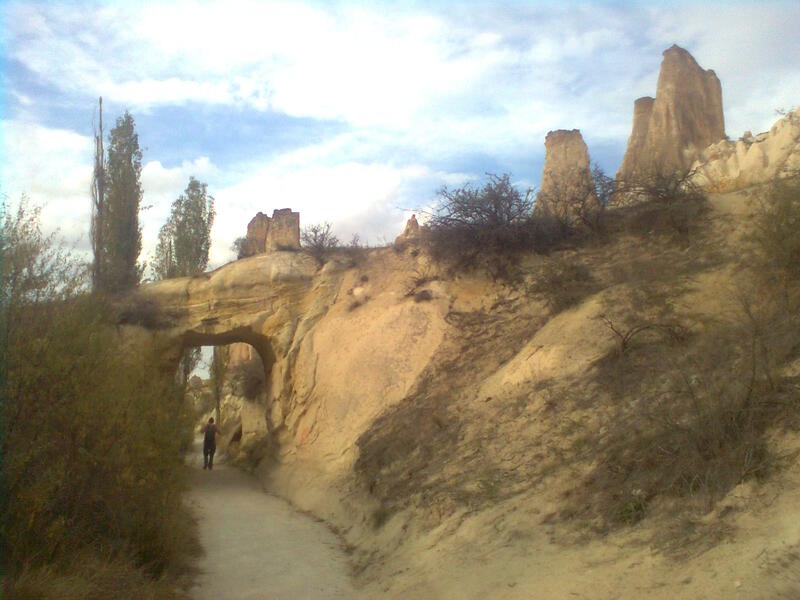 If you walk there near Open Air Museum you should pass the hill near the horse ranch there and follow the tips on stones. 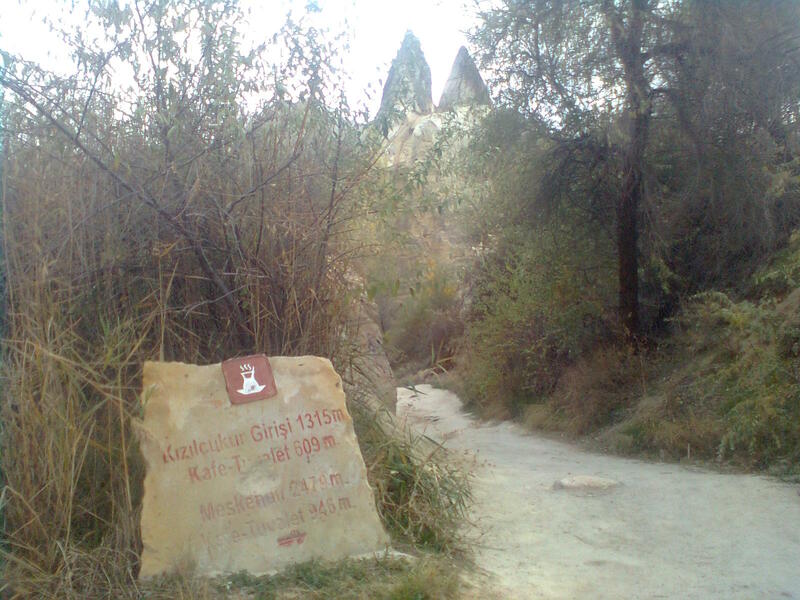 pass the hill near open aim museum or Kaya balloons. 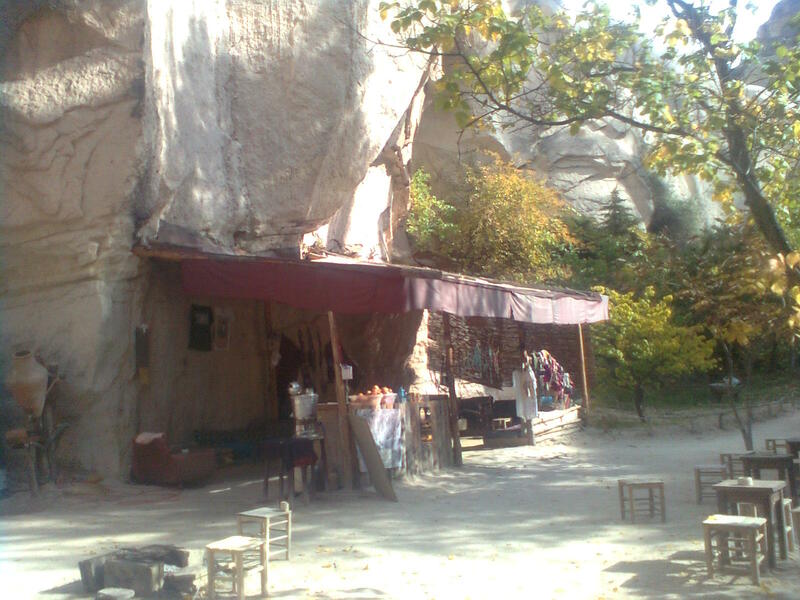 After a few kilometers you can find a little cafe into the valley. You can have breathe there. If you visit there in winter they serve hot wine and tea. In summer you will need something cold to drink with you. 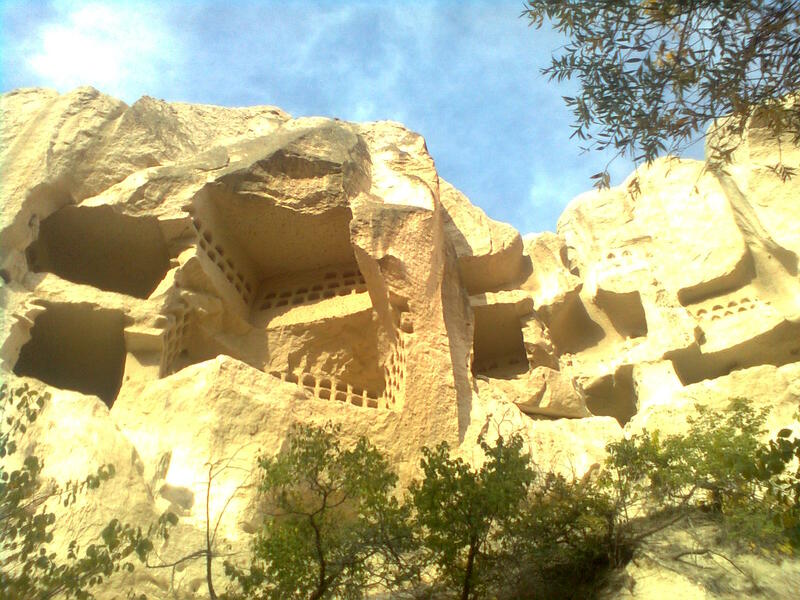 red valley and rose valley are written as Kizilcukur 1 and kizilcukur 2 on this stone.